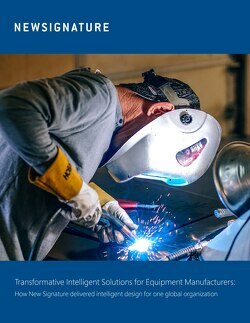 We have developed a deep comprehensive look at the current challenges that original equipment manufacturers (OEMs) face, along with proven solutions to those problems. Access to this free guide will open the door to understanding the most important pain points that you face as an OEM, along with the steps to take to push past the competition and create a connected enterprise with applied innovation. In the world of equipment manufacturers (OEMs), disruption is present in a variety of ways. from a shrinking talent pool to difficulty tracking service cycles and maintaining positive relationships with distributors, many original equipment manufacturers (OEMs) have found themselves at a precipice. For those OEMs prepared to take a leap, there are technologies available to them that will address their disruption concerns and prepare them to withstand the changing tides of the industry with efficiency and agility. If you are a decision-maker for an OEM, you can become a progressive business and overcome the challenges of today, moving toward a stronger tomorrow. Connect with a New Signature Applied Innovation expert today.